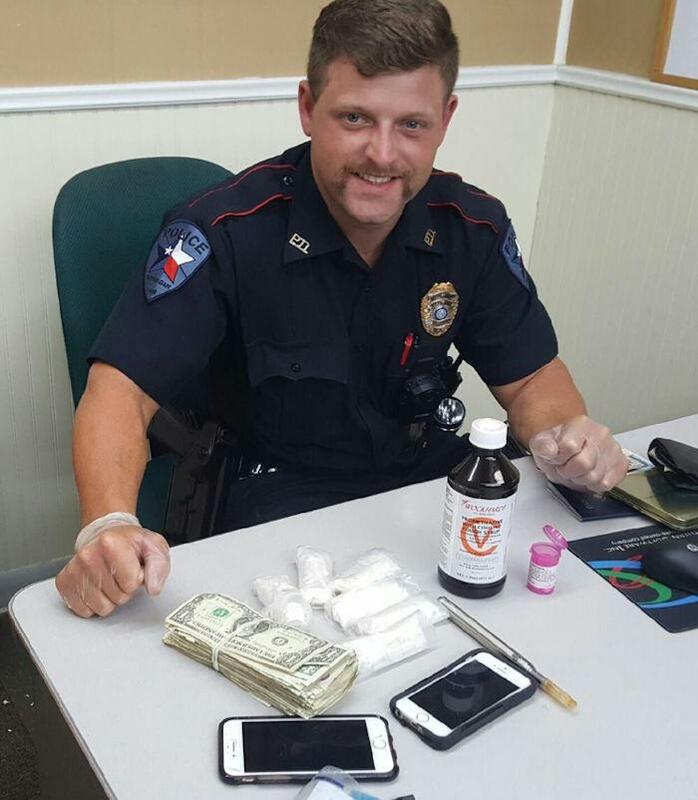 Speeding Driver Busted for Large Quantity of Drugs, CORRIGAN, June 12, 2016 - Shortly after 10 pm on June 10, 2016, Officer Cody Hardy with the Corrigan Police Department observed a white Toyota Camry that was north-bound on US-59. Officer Hardy's radar indicated that the car was driving 11 miles per hour over the speed limit. Additionally, Hardy observed the vehicle change lanes without using its turning indicator. Hardy initiated a traffic stop and was quickly joined by Officer Celestino Molina (also with Corrigan PD). The officers spoke with the driver, Reginald Earl Murray, Jr., 21, of Miami, Florida. The car was a Hertz rental car. As the officers spoke with Murray, they observed that he was nervous. Murray stated that he was coming from Houston from visiting a girlfriend. Hardy asked Murray if he had anything illegal in his car, Murray stated "No, I just graduated from college in criminal justice and I'm trying to become one of you guys". Hardy then insinuated that since Murray had nothing illegal, then he wouldn't mind if he looked inside his vehicle. Murray disagreed and did not give Hardy consent to do a vehicle search. Hardy continued to speak with Murray and noticed that Murray became more nervous as the dialogue continued. Hardy summoned a canine trooper (State Trooper, Travis Richnow and Canine Gordon). 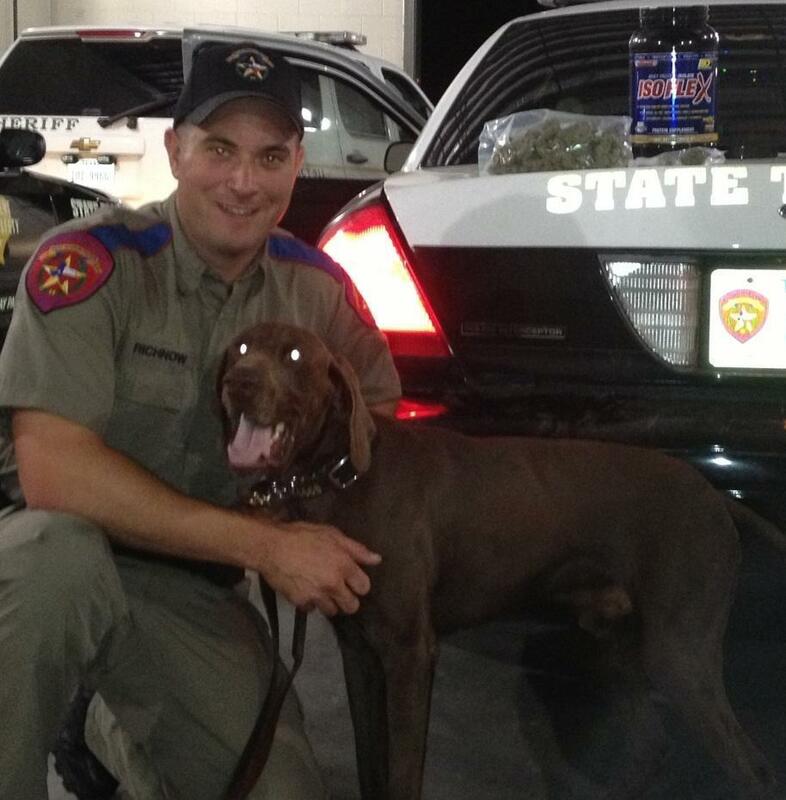 When Trooper Richnow and Gordon did a walk around open air sniff of Murray's vehicle, Gordon alerted that there was contraband in Murray's vehicle. Gordon's alert established probable cause. 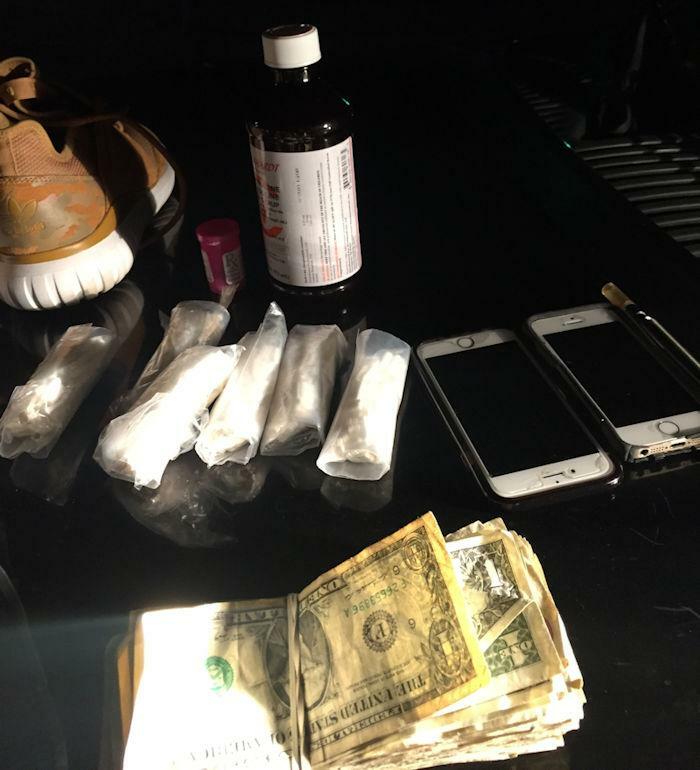 Hardy conducted a vehicle search and found six rolled baggies containing white bars believed to be Xanax, a container with two white pills identified as oxycodone, and a pint bottle containing promethazine hydrochloride. 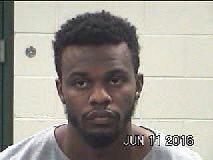 Hardy placed Murray under arrest and charged him with two counts of manufacture and delivery of a controlled substance and possession of a controlled substance. Officer Molina read Murray his rights. Murray was transported to Polk County Jail. Officer Cody Hardy, with Corrigan P.D., found a sizable amount of illegal drugs in Murray's vehicle. There was also $473 dollars secured by a rubber band.